How do I change the repeat mail settings for a deal? You can change the repeat mail settings for a deal. Step 1. Open the deal. Step 2. Click "options" within the "Outreach Campaign" section. Step 3. 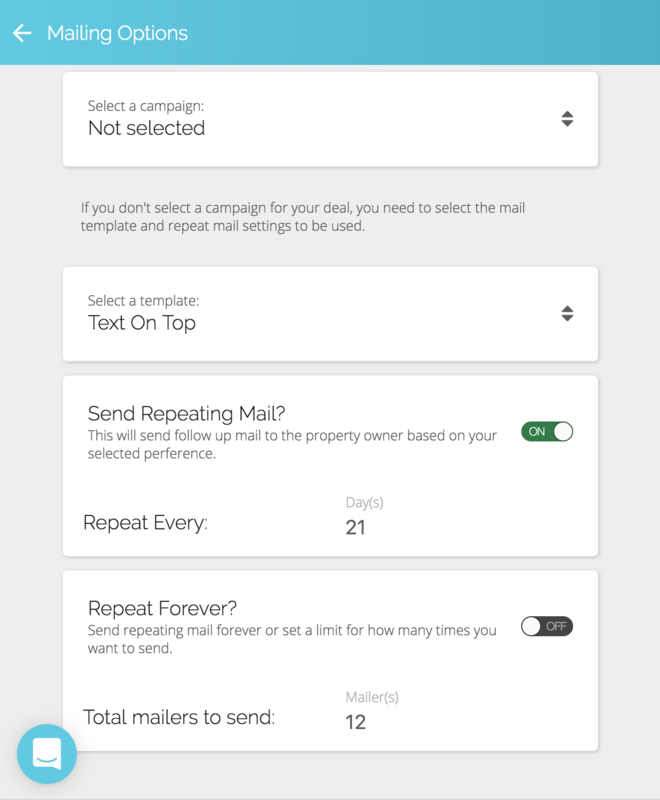 Select a Campaign from the dropdown, or send the same postcard over and over again with variable repeat settings. NOTE: You can change the repeat mail settings for multiple deals at once. Check out this article.